The enabling environment—the policies, regulations, and procedures that govern how the supply and demand sides operate and interact. The KSI program focuses on building capacities within all four pillars through a mix of dialogues, analyses, and investments in each area. Currently, the KSI is working with 16 selected organizations, including SMERU, (commonly referred to as KSI partners) which provide research as the basis for policymaking and have various research agendas and strategies. 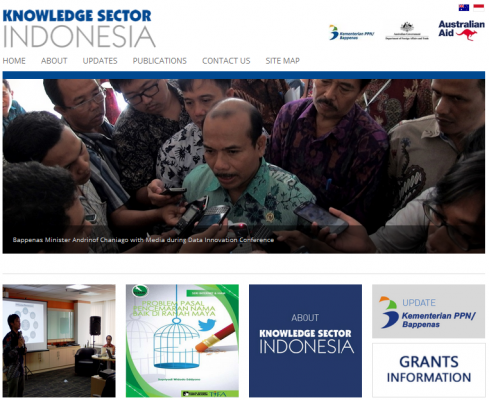 For more information, please visit www.ksi-indonesia.org.